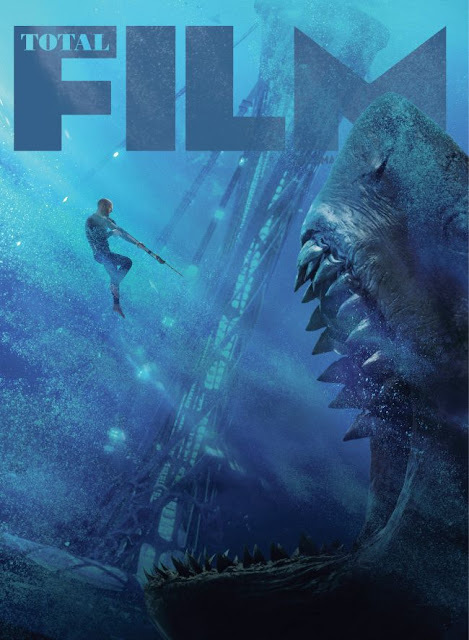 Literary manager | Producer | Ken Atchity: Jason Statham Goes Deep About The Meg with Total Film! With the summer movie season in full swing, The Meg is about to arrive with the aim of taking a chomp out of the competition. With a high-concept premise that can be most simply summed up as Jason Statham Vs a giant prehistoric shark (or “Jurassic Shark” as Statham himself puts it), it offers the promise of the kind of knowingly OTT blockbuster we see all too rarely these days. Statham stars as Jonas Taylor, a diver who has had a previous run-in with the toothy beast of the title. The Meg – or Megalodon, to give it its full name – is a supersized shark that has emerged from the deep with an appetite, so it’s down to Jonas and crew to put a stop to the monster’s feeding frenzy. 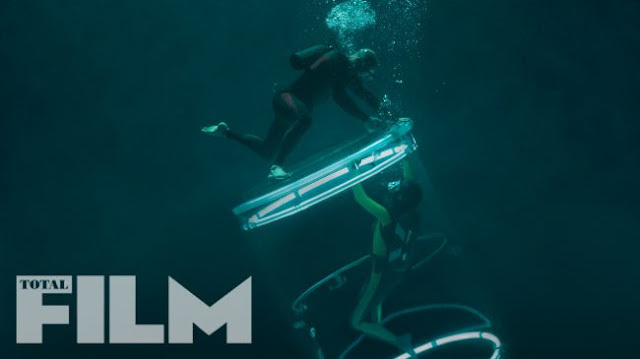 You can take a look at Statham heading underwater in this exclusive image, courtesy of our sister publication Total Film magazine, which sees Jonas going below the surface with another crew member on the look out for the Meg. Directed by Jon Turteltaub (National Treasure), The Meg is aiming to deliver suspenseful set pieces and monster-movie thrills, but it’s also going to have fun with the formula, while trying not to veer into Sharknado territory. “This is a much more legit, holy-crap-that’s-a-big-shark movie,” says the director. It’s based on really good science and really good filmmaking. We’re not making fun of shark movies, we’re celebrating them. 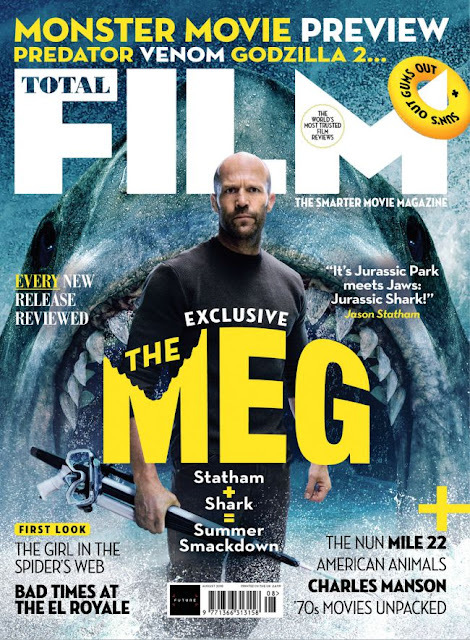 For much more on The Meg and bunch more upcoming monster movies, you can pick up this month’s Total Film magazine, which hits shelves this Friday, July 27. Better yet, why not subscribe so that you never miss an issue? That way, you’ll bag an exclusive, not-available-in-stores subscriber’s cover (as seen below), and My Favourite Magazines will deliver each new issue through your letterbox every month *and* save you money on the cover price. And if that’s not tempting enough, we’re currently running a promotion where new UK subscribers will get two Jurassic World Funko Pop! Vinyl figures when they sign up. What are you waiting for?